Academic: Working as Lecturer with B. P. College of Business Administration since June 2009 in the area of Marketing and taking care of subjects viz. Principles of Management, Professional Communication in Practice, Marketing Management, Advanced Marketing Management, Organizational Behavior etc. Industry: Worked as Area Executive with ITC Ltd. (Gujarat Branch) for 2 years. 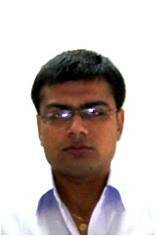 Worked as Management Trainee – Institution Business and Sales Coordination for Claris Lifesciences Ltd. for 8 months. Worked with Shalimar Tar Products (1935) Ltd as Sales Executive for Gujarat for 1 year and 3 months. Presented a Research Paper on “Subcontracting and SSIs in India” in Vimarsh – A state level competition organized by N. R. Institute of Business Administration (GLS) in 2010. Attended several seminars (state & national level) on General Management, Marketing, Entrepreneurship, Education Development etc.